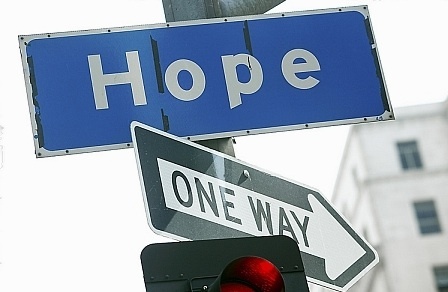 Your job – to awaken hope! Proclaiming the good news – announcing life. Casting out demons – destroying death. Two sides of the same coin. The people you love need the whole penny! Announcing the good news is the first order of business.The flock you shepherd needs to hear your voice telling them of the hope the gospel brings. Good news is necessary and so needed in this world of ours. Most of us, knowingly or not, live in the conviction that bad news reigns. We look around and see destruction seeming to march in victory. Sure there are little pockets of life-sustaining activities operating in the midst of death-dealing events and circumstances, but they seem the minority, the underdog, the exception. Which leads to the other side of this coin – the casting out of demons, which I’ll talk about in my next letter. This entry was posted in Dear Elle and tagged call, evangelism, good news, hope, Jesus, Spiritual gifts. Bookmark the permalink.